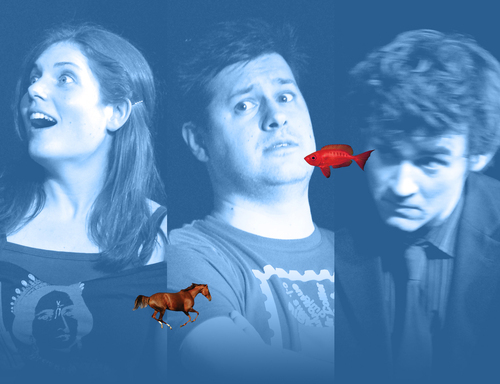 Horse Aquarium is a stripped-down, off-beat comedy improv show starring three of London’s most experienced spontaneous comedians. TOM SALINSKY literally wrote the book on improvisation – it’s called The Improv Handbook and you can buy it on Amazon. BRIONY REDMAN is the star of the sketch circuit favourite Bronya and Siony. And PAUL FOXCROFT is already using rudimentary tools. In this freewheeling show, they turn three audience suggestions into sixty minutes of comedy. No gimmicks, no games. This is improv like they did in the war. We cannot deny that special guests may be involved.